BEAUTY BUDGET BUY. 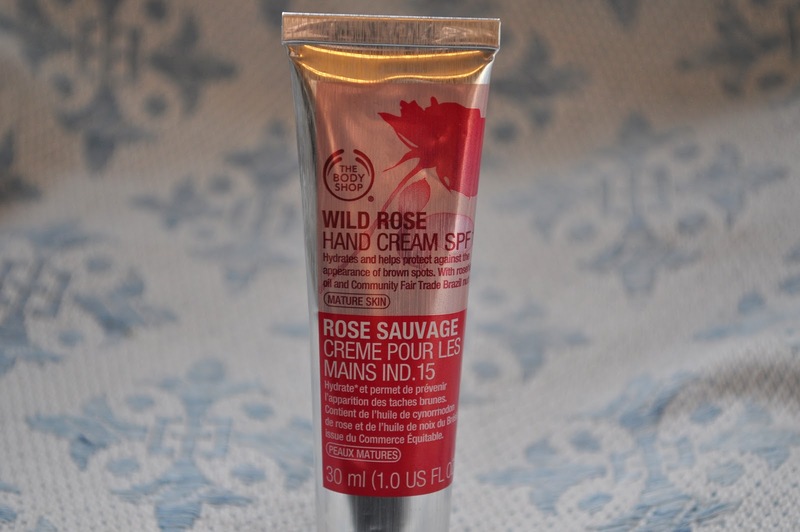 THE BODY SHOP WILD ROSE HAND CREAM. | Life Looks Perfect. BEAUTY BUDGET BUY. 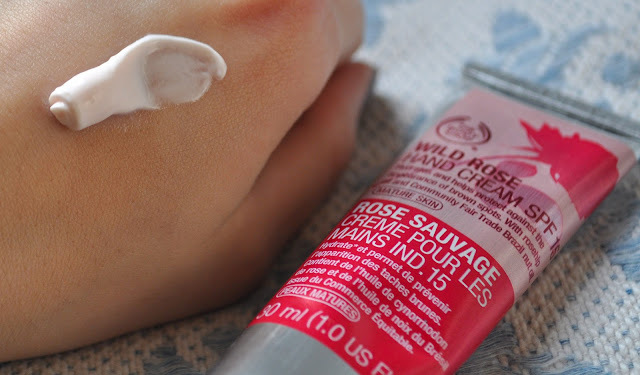 THE BODY SHOP WILD ROSE HAND CREAM. 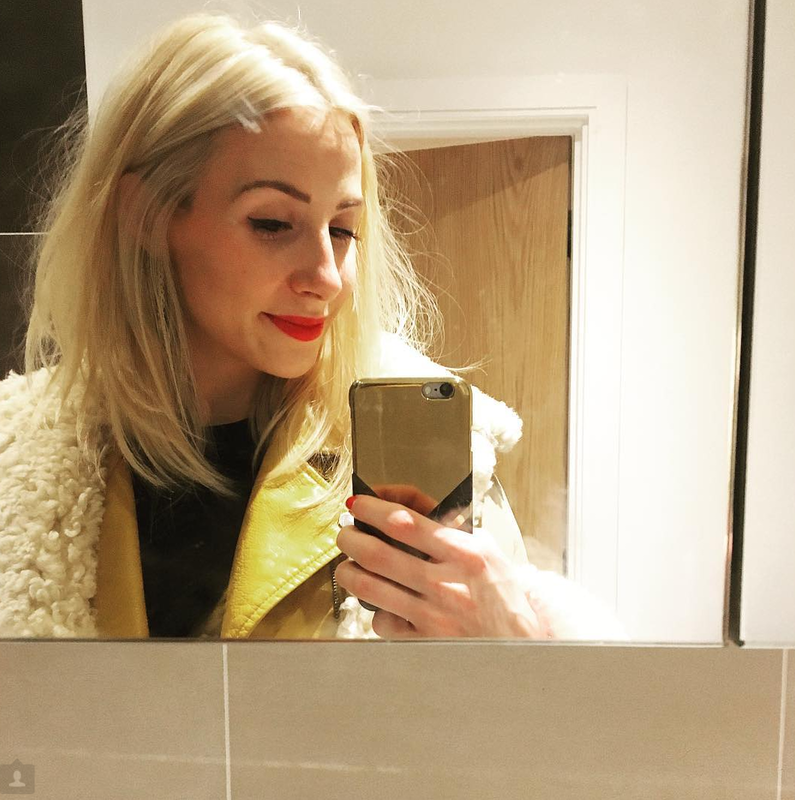 I have tested my fair share of hand creams, as they are literally my beauty saviour. My hands suffer as a florist, so keeping my hands soft and hydrated is important. This little hand cream I picked up in The Body Shop for £5, which actually is fairly pricey for the size. The fragrance I picked up was Wild Rose, which only when I got home I realised is for "Mature" hands but as a complete fragrance buff I fell in love with the scent. It smells literally like a David Austen Rose, which is the sweetest scented tea rose grown in the UK and when we ever get them in at work I want to live in them! The actual consistency of the hand cream is quite watery and wet, that therefore absorbs very quickly into the skin's surface. It leaves your hands feeling soft and supple. With key ingredients such as Rose hip oil, known for absorbing easily into the skin without leaving a greasy sheen. Rose hip is also full of active ingredients such as Omega 3, Omega 6 and Retinoic Acid that helps to smooth out fine lines and tackle uneven skin tone. As my hands are usually damaged from work, the cream works well for me soothing and healing my skin. I reckon for most young ladies this may not suit but The Body Shop have a great range of hand creams that are each have certain specification's for your skin. You can buy The Body Shop hand creams in either 30ml or 100ml but if you are unsure maybe try the 30ml size first. This cream also has an SPF 15. This post makes me want to rush out and buy body shop stuff instantly like wild rose hand cream.